Welcome Home! 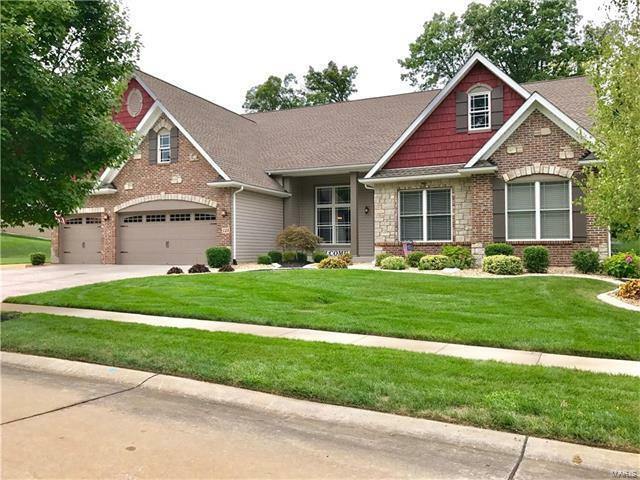 Prime location on over a half acre in award winning Wentzville Schools. Enter this 5 bedroom, 3.5 bathroom home to expansive 12 foot ceilings and natural lighting. Red oak hardwood flooring were newly sanded and restained in November 2016. New 3 piece crown molding and stone fireplace with barn wood mantle make the open floor plan feel warm and inviting. With nearly 3,000 square feet of living space on the main level and 2,200 in the basement, this ranch brings over 5,000 square feet of total living space! Come see all the updates and feel as if you are walking into new construction. Lot dimension is: 25700 sq. ft.